If you grew up going to Sunday School, you’re familiar with the popular Bible character, Daniel. He’s most memorable in our minds as the one who miraculously survived the lion’s den and then the fiery furnace with his 3 friends, Shadrach, Meshack, and Abednego. Of course Daniel is well-known for much more than these strange and unusual events. He informs kings of the meanings of their dreams and visions (and downfall), he reveals the coming secret of 4 historic world-empires and God’s universal kingdom. His own final dream and visions are captured in the last five chapters of the Book of Daniel where he lays out fantastic pictures of warring beasts, the prophetic 70 weeks, and his vision of the glory of God and coming “time of trouble” which many confuse for the end of the world. A key lesson that hits me about this remarkable man who lived a remarkable life is seen immediately in Chapter 1 of Daniel. It starts with a teenager around the age of 15. Daniel was no ordinary boy. Yes, he was born into an upper class family and possessed natural good looks, but he was a strongly principled young man of faith. His world changed in 605 B.C. when Israel was overrun by the aggressive Babylonian empire. It was a like a new year and a new life. Things do happen for a reason. God is in control of everything. God gave Judah (Israel’s southern kingdom region of which Jerusalem was its capital city) into the hands of an evil nation. The cause was punishment for their flagrant disobedience perpetuated over many, many years. The best and the brightest (and richest) were taken first in the initial siege. It’s estimated that eventually upwards of 10,000-20,000 out of 75,000 living in Judah were exiled to Babylon in the first of two deportations. By 586 B.C. the city was decimated along with the beautiful Temple built by Solomon some 400 years earlier. Daniel resolved to stand on faith and obedience. Daniel makes an offer to his captors. What’s going on here? Daniel and his good Hebrew/Israeli friends do not want to dishonor God’s Law relative to a stated food diet for His “Chosen” people (chosen to fulfill an ultimate bigger picture purpose: Christ). This is not about requiring all of us to become vegans. 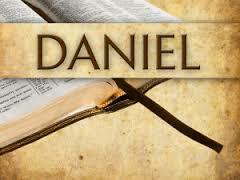 Daniel is merely obedient to God over man as a 6th century Jewish man. Daniel’s obedient discipline, even in the midst of an abrupt upheaval of life and world, was rewarded with gifts by God, spiritual/natural gifts that would serve him well. His life of commitment and devotion was transformed to a life of purpose and impact. The rest of his life is a testimony to God’s hand on those who, with devotion, follow Him. Is your year starting with upheaval or ease?